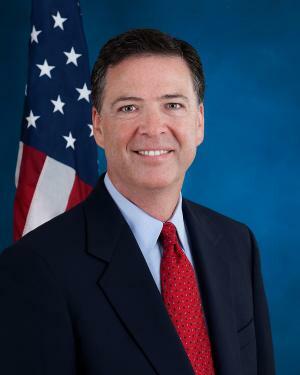 Born James Brien Comey Jr. on the 14th December 1960, in Yonkers, New York City USA, he is a lawyer, best known to the world for serving as the 7th Director of the Federal Bureau of Investigation (FBI) from 2013 until 2017, when Donald Trump dismissed him from his duties. Have you ever wondered how rich James Comey is, as of early 2018? According to authoritative sources, it has been estimated that Comey’s net worth is as high as $13 million, an amount earned through his successful career, active since the mid- ‘80s. Born into a family of law enforcers, his father was a councilman, and his grandfather, William J. Comey, an officer and commissioner of the Yonkers Police Department. He spent his early years in Yonkers, but then the whole family moved to Allendale, New Jersey in the ‘70s. James went to Northern Highlands Regional High School, and after matriculation enrolled at the College of William and Mary, graduating with a double major in chemistry and religion in 1982. Following his graduation, James enrolled at the University of Chicago Law School, from which he earned his Juris Doctor degree in 1985. Soon after receiving his degree, James found a job as a law clerk for John M. Walker in Manhattan, who at the time worked as a US District Judge. After a while, he became an associate for the law firm Gibson, Dunn & Crutcher, working in their New York office. Just two years after finishing his law studies, James joined the US Attorney’s Office for the Southern District of New York, and assumed the position of Deputy Chief of the Criminal Division, remaining in the position until 1993. One of the major trials on which he worked was the prosecution of the Gambino crime family. In 1996, James started serving as Managing Assistant US Attorney in charge of the Richmond Division of the US Attorney for the Eastern District of Virginia, and remained in that position until 2001, then in 2002 he was named as the US Attorney for the Southern District of New York, while in December 2003 he was promoted to the position of the new US Deputy Attorney General, a position he held until August 2005, when he decided to quit his government position, and assume the role of the senior vice president and general counsel at the Lockheed Martin Corporation, which increased his net worth to a large degree. He remained out of government until 2013, when the then-president Barack Obama nominated him as the new Director of the FBI. He was selected over Lisa Monaco, and served as the Director of the FBI until May 2017, when President Donald Trump fired him. During his time as the Director, James was involved in several controversies, including the investigation into Democratic nominee Hilary Clinton’s use of private email server, then an investigation into Russian attempts to influence the election. After his dismissal, James made public his FBI memo which among other classified material contained information about the investigation into Michael Flynn, the former National Security Advisor. When it comes to his personal life, James has been married to Patrice Failor since 1987; the couple has five children together. James, raised as a Roman Catholic has joined the United Methodist Church and has taught Sunday school. 1 [letter to FBI employees] We don't ordinarily tell Congress about ongoing investigations, but here I feel an obligation to do, so given that I testified repeatedly in recent months that our investigation was completed. At the same time however given we don't know the significance of this newly discovered collection of emails, I don't want to create a misleading impression. 2 [observation, 2016] I was raised by great parents who taught me you don't care what other people think about you. In my business [as FBI Director] I have to and deeply do - that people have confidence that the system's not fixed, against black people, for rich people, for powerful people. 1 At 6'8" Comey is the tallest FBI director in the history of the bureau. How wealthy is uncredited Predator screenwriter Shane Black?